Doshu Yoshigasaki has written an article on Japanese Philosophy which is published on the British Ki Society website. 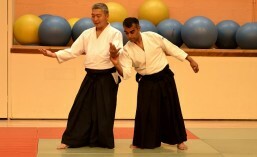 There are several other articles that Doshu has written over the years on the website which covers lots of area concerning Aikido. They can be found here.